The Drop follows Bob, a lonely bartender who, alongside his cousin Marv, manages the aptly titled bar, Cousin Marv’s. A few years back, Marv sold the place to a group of Chechen gangsters who use it as a “drop bar” – a location where the mob leaves their evening take to be picked up in the morning when the heat is off. On one evening, a pair of dimwitted robbers leave with five large from the register and when the Chechens find out, the pressure is on Bob and Marv to get the money back. If this wasn’t enough, Bob finds a beaten and bloodied dog shivering inside a garbage can not far from his home. Befriending a neighborhood woman who convinces Bob to take the dog in, Bob eventually comes face-to-face with a man claiming ownership of the pooch. This man, Eric Deeds, not only wants the dog back, he also intends to exploit Bob through his connection to a known mob bar. Lehane keeps the cast of players small and spends a good chunk of time fully exploring each one. It would have been easy for Lehane to create them with cookie cutters based on the length of the novel and the simplicity of the plot – but that isn’t Lehane’s style. His strength lies in crafting compelling characters that normally act within their personalities – something that authors sometimes sacrifice just to throw in twist endings or swerves in the plot. Although this is very much a character-driven story, violence plays a big part in building atmosphere. Blood is spilled all over the pages as people shoot, stab and murder their way through one another as the stakes are continuously raised. Rather than just using the carnage as a way to shock readers, Lehane is more concerned with what it does to those that are left. This drives home the urgency of resolve and had me racing through the pages. They don’t come more talented than Lehane when it comes to crime fiction. 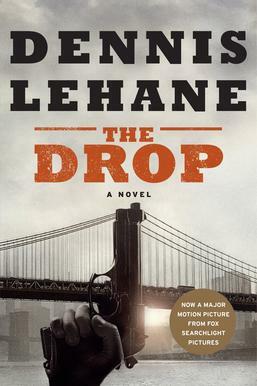 The Drop is a short, albeit fully realized tale of revenge and desperation that is some of Lehane’s best stand-alone work.